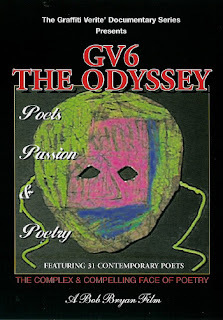 I watched the video Graffiti Verite 6: The Odyssey: Poets, Passion, and Poetry on Netflix and was transfixed to the screen. 31 poets speaking their truth of their passion, their poetry. My stomach tightened as I felt a familiarity with these poets that was out of time. My blood pulsed in my veins as I listened and felt their heat. My creative juices began to move and flow. Wanda Coleman chants her poetry with such vigor that I feel it in my heart. FrancEye speaks into why she writes her poetry to discover who she is. Who am I? Do you know who you are? Shahe Mankerian shares his passion with his students. He believes a red pen to poetry is like the page bleeding to which no band-aid can fix. No more red pens to poetry. Tip 12: Take time to watch this fascinating documentary that is like no other and then make notes of what comes up for you; what begs to come through you in your own poetry. Have you signed up to participate in this Poetry Challenge? The time is drawing near, sign up and join us in this wonderful adventure into words.